• You'll need to be a geek or know a geek to create an iPhone app. Ideally you are will know someone who is a software engineer who knows how to develop computer programs.. Cost: Free if you can find a volunteer software engineer to help you to create a program. Expensive if you actually pay a programmer to develop your app. 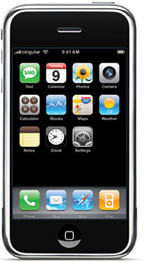 To date there isn't an iPhone App out there that supports the Marrow Donor Program... Yet. Ideally I think an iPhone App for marrow donation would show where live drives are located each week, nationwide. 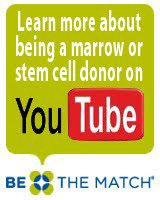 Perhaps something an engineer could partner with the National Marrow Donor Program "Be The Match" to develop. The app should also let people order a home test kit online so that if I'm out and about chatting someone up about the donor program I can even let them use the app on my phone to order a kit with if they don't have an iPhone themselves. It would also be helpful for the app to provide basic info about the need for marrow donors (an FAQ perhaps) and marrow donor related videos that can be used to help viewers to understand the need for more people to join the registry and the registration and donation processes themselves. There already is an iPhone app to assist in recruitment for organ donation. CLICK HERE to read about more about the Donate Lives program. I hope someday soon there is an iPhone app to support marrow and stem cell recruitment as well.